How do Travel Medical Questionnaires for Snowbirds Work? For Canadian snowbirds, completing a medical questionnaire is often the most important, and sometimes a confusing part of applying for travel insurance. How you complete a medical questionnaire for your travel insurance can mean the difference between being covered and having your claim denied. Don’t find out the hard way that your claim is denied because you failed to answer the medical questionnaire properly. You will find a lot of information in this article, but if you have any further questions, be sure to call your insurance provider before your trip for clarification. Typically, travellers over a certain age such as 55 or 60 are required to answer a health questionnaire when purchasing their travel medical insurance. Often, there are some pre-screening questions. Depending on how these pre-screening questions are answered, more detailed questions are required. These questions get into specific health conditions, number of medications being taken as well as any planned or pending visits to a specialist. Some people will shop around for a company that does not require them to complete a questionnaire. However, don’t forget that even if you are not required to answer a health questionnaire, you are still subject to the terms and conditions of the Policy which will include pre-existing conditions and/or stability period clauses. If your health is unstable you should consider postponing your trip. People will also shop around as they age, as coverage and requirements can vary between companies, as can rates, especially for older seniors. Honesty is the best and ONLY policy! When completing the questionnaire, you should always answer the questions truthfully. If you are unsure about any of the questions, you should phone the company and clarify. Better still, contact your health care professional so that you “know your health”. If your medical condition changes between your initial application date and your scheduled departure date, you must contact your insurance provider to let them know so that your application can be re-evaluated. Your answers will determine which rate class you fall into. It is no different than when applying for others types of insurance such as Auto Insurance or Life Insurance. In the case of travel insurance, your condition may be unstable and you may be declined coverage altogether from the insurance company or there may be an exclusion for that condition in case you do travel and have a medical event related to that condition. Other unrelated events would still be covered. If there was a paper-based application, make sure to keep a copy for your files. If you conducted the application over the telephone, request a copy of the questionnaire so that you can review the responses and ensure accuracy before your trip starts. If there is a false or an incorrect statement on the application, whether intentional or not, your claim will be denied, the policy will be voided and your premiums will be returned. Every travel insurance company has their own rating algorithm bases on their claims experience. The questionnaire is looking for the stability of your condition(s) as well as the severity of those condition(s). The less stable and/or greater the severity of your condition(s), the more likely they are to impact your premium or quite possibly whether or not you will be offered coverage at all. Certain chronic conditions such as heart, stroke, lung and diabetes are just some of the conditions that Insurers are looking at. Multiple conditions also have an impact on your premium outcome, in particular when they are related to one another. They certainly impact the health stability of the traveller as well as the severity of any future claim. 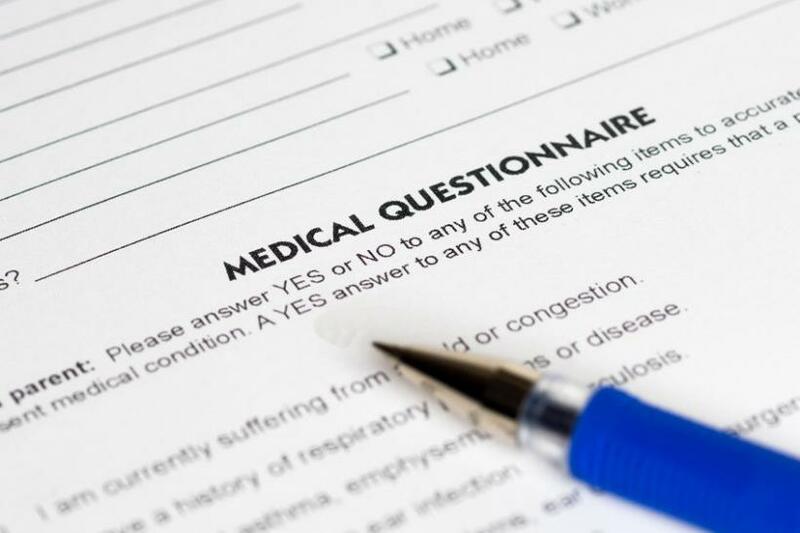 If inaccurate or incomplete answers to the medical questionnaire are provided, your claim can be denied; even if the question that is answered incorrectly is not related to the cause of your claim. Be sure to review your policy thoroughly and if you have any questions, be sure to ask your insurance provider for clarification. Insurance policies often contain “stable” or “stability period” clauses. The stability period can vary, but can be as little as 90-days and as much as six months or longer. It means that your medical condition has not worsened and there has been no alteration in any medications for a condition. In addition, no treatments can be done or recommended during the stability period. Remember, it is important to let your insurer know of any changes, such as changes to your medications, planned surgeries, treatment or test. Finally, the Travel Health Insurance Association of Canada offers sound advice for all Travellers: “Know Your Health. Know Your Trip, Know Your Policy.” -- Very good advice indeed!